Janice Buckingham is Chair of the Oil & Gas Practice and Co-lead of the Energy Practice. Janice’s practice focuses on the commercial and strategic development, acquisition and divestiture of complex energy production liquefaction, transportation and storage projects in Canada. 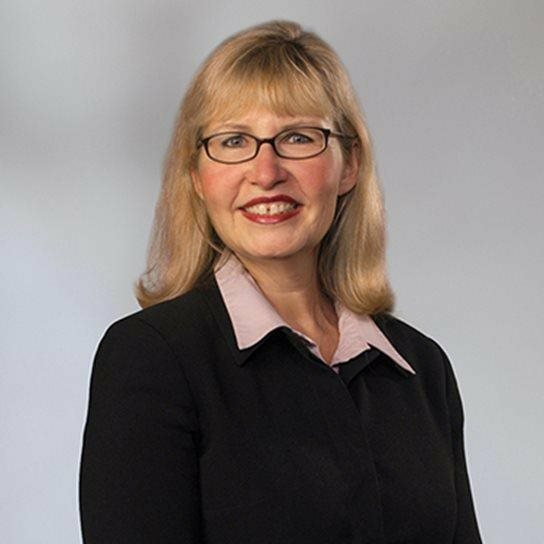 She successfully represents clients in upstream, midstream and transportation-related asset and share purchase and sale transactions as well as multi-billion-dollar joint venture developments, ownership and operation of conventional and unconventional energy resources, liquid natural gas (LNG) and oil sands projects. Janice has become a strategic advisor on all types of contractual issues arising from industry standard form and negotiated production sharing, processing, transportation, storage, marketing, construction, participation, joint operating and service-related agreements. Her practice is complemented by eight years of oil and gas business experience where she served as Vice President of a TSE listed company. Janice is consistently ranked, recommended and sought after for her extensive and market-leading transactional experience. Canadian Natural Resources Limited in connection with the sale of certain royalty interests to PrairieSky Royalty Ltd for $1.8 billion. Kanata Energy Group Ltd. in their $54 million joint venture arrangement with Cequence Energy Ltd. to acquire a 50% share of the Simonette gathering and processing facility in Alberta and to provide midstream services. Represented an undisclosed private company in the acquisition of non-core assets located in south central Alberta from Penn West Petroleum Ltd. for $355 million. Talisman Energy Inc. in its proposed sale of a portion of its Montney natural gas business to Progress Energy Canada Ltd. for $1.5 billion. Apache Canada Ltd. in its announced disposition of certain oil and gas producing assets in western Alberta to Ember Resources Inc. for approximately $220 million. Apache Canada Ltd. in its announced disposition of certain oil and gas producing assets in Alberta and Saskatchewan in two separate transactions with a combined value of approximately $117 million. Angle Energy Inc. in connection with its disposition of certain gas-weighted assets near Edson, Alberta, for approximately CAD$74 million. Parallel Energy Trust in its agreement with Bravo Natural Gas LLC to acquire the remaining 41% interest in the West Panhandle Field for US$189.4 million. Nexen Inc. in its sale of a 40% working interest in certain NE BC shale gas assets and in the creation of a strategic joint venture with a consortium led by Inpex Corporation to develop shale gas assets in NE BC. Total E&P on the formation of a strategic oil sands alliance between Total E&P Canada Ltd. and Suncor Energy Inc. encompassing the Fort Hills mining project, the Joslyn mining project and the Voyageur upgrader project. Apache Canada Ltd. on Canadian aspects of their US$3.25 billion acquisition of a partnership and corporation holding oil and gas exploration and production properties located in Western Canada, from BP Canada Energy. KM LNG Operating General Partnership and Apache Canada Ltd. in all aspects of its acquisition, joint ownership, development and partial disposition of interests in the proposed Kitimat LNG Project and Pacific Trail Pipelines. ConocoPhillips in the sale of a partnership holding their 9% interest in Syncrude to subsidiaries of Sinopec International Petroleum Exploration and Production Company for $4.65 Billion. Northern Blizzard Resources Inc. on its agreement to acquire heavy oil assets located in the Lloydminster area of Alberta and Saskatchewan from Nexen Inc. for $975 million. Angle Energy Inc. in its $115 million acquisition of oil and gas assets from Compton Petroleum Corporation and subsequent public offering and in its $75 million acquisition of Stonefire Energy Corp. and concurrent financing. Hibernia Southern Extension, an offshore development project, on commercial arrangements and the proposed arrangements with the Province of Newfoundland and Labrador on the fiscal regime, benefits and equity participation. Hebron- Ben Nevis Consortium (Chevron Canada, ExxonMobil Canada, Petro-Canada and StatoilHydro Canada Exploration & Production Inc.) on the Hebron- Ben Nevis Development Project offshore Newfoundland and Labrador including proposed arrangements with the Province of Newfoundland and Labrador on the fiscal regime, benefits and equity participation. The estimated development costs for the project (which is expected to produce between 150,000 and 170,000 barrels of oil per day) are in excess of $7 billion. ConocoPhillips in its $1.0375 billion sale of four subsidiary corporations to Pengrowth Energy Trust. BG Group plc in the reorganization of certain Canadian assets and the sale of the shares of BG Canada Exploration and Production Inc. to Progress Energy Limited for cash proceeds of $526 million. NAL Oil & Gas Trust in its acquisition of Seneca Energy Canada Inc. for $245.1 million and public financing of $225 million. Anderson Energy Ltd. in its acquisition of oil and gas assets in its core area of greater Sylvan Lake for total cash consideration of $116.1 million. Canadian Natural Resources Ltd. in its US $4.1 billion acquisition of Anadarko Canada Corporation which holds all of the Canadian assets of the parent company Anadarko Petroleum Corporation. ConocoPhillips on the establishment with Encana Corporation, of two 50/50 partnerships, one relating to upstream Canadian oil sands assets and the other to U.S refinery partnerships. "Clients appreciate her rapid responsiveness, thoroughness and knowledge of current industry practices." Life after CNOOC’s Nexen deal: Is China’s honeymoon with Canada’s oil patch over? The New Dawn: Commercial and Regulatory Considerations Affecting LNG Export from BC, presented at Canadian Energy Law Foundation 2012 Jasper Research Seminar, June, 2012. British Columbia Government Investment Support for Share Gas. Montney/Horn River Infrastructure Finance & Development Summit – Brining Gas and NGLs to Market, April 27-29, 2011, Calgary. Tendering and Purchasing Law in Upstream Oil, Gas and Oilsands: The Competitive Bidding Process and Obligations When Contracting for Work, Alberta Law Review, Volume 47 No. 497, August, 2009. Issues facing Women in the Legal Profession, Women in Law Conference, May 15, 2008, The Ranchmen’s Club. Introduction to Purchase and Sale Agreements, CPLF Kananaskis Seminar in Fundamental Oil & Gas Law, January 24, 2008, Kananaskis. Coalbed Methane: “Convention Rules for an Unconventional Resource”?, Alberta Law Review, Volume 42 No. 1, July 2004.